We Will Be Closed To Walk-In Customers On 22 - 24 January For SHOT Show. Online Orders Will Process As Normal. We are closed on the weekend unless stated otherwise. Orders placed over this website are 100% secure. We no longer accept check or money orders. OPT does accept Paypal, this option is available upon check out; please do not try to conduct a Paypal based transaction through emails with us. Items on this site marked with the (R) symbol are Paypal sales restricted, they will not be sold using Paypal, no matter who you are, or where you are, this violates the Paypal AUP. Items with this marking that are ordered by customers using Paypal will be immediately deleted from their order. Nearly all items on the website have real-time inventory stock. For a particular item, click on the exact option(s) you want in the drop-down menu and the system will let you know if it's in stock or out of stock. If out of stock, an email notification pop-up will appear where you can enter your email address to be notified once this option is back in stock. For the handful of items that are not stocked, there will be a note on the item's page stating this item requires a lead time. When OPT receives your order it immediately takes priority over all orders placed after it. If the order can be filled immediately, it will be. If there is merchandise on backorder you will be notified, and may be offered comparable products, items colors etc. If your order does end up on backorder we will place all in stock items aside for you and fill your box as items come in, these items will not be removed from your box, that is our commitment to expediting backorders. You will only be charged for items once they have shipped. Special orders and Unit/Department sales are the only exception to this policy. $5 Standard Shipping will be shipped either via UPS Ground or USPS Priority Mail depending on the size, cost, and address of the package. Most small orders ship via Priority Mail. UPS Ground shipping times average between 1-5 business days depending on location (we are located on the East Coast). Tracking will NOT be available for USPS Priority Mail at the time of shipping, but can be requested after order has shipped (due to delay from post office). USPS Priority Mail shipping times average 3 business days. IF YOU CHOOSE STANDARD SHIPPING AND YOUR ORDER IS LOST OR STOLEN YOU WILL NOT RECEIVE A REFUND AS USPS DOES NOT INSURE LOST OR STOLEN PARCELS. UPS IS THE SAFEST BET. UPS Next Day, Two Day and Three Day Select orders must be received by 12:00PM EST in order to guarantee same day shipping. Saturday Delivery Next Day Air will ONLY be delivered on Saturday. If your parcel is late but delivered on the same day UPS will not refund your shipping costs. If you have selected Air for delivery and UPS states weather conditions delayed delivery no refund for shipping will be issued. NOTE - We are closed on the Weekend. If there is a backordered item the recipient will be notified ASAP. OPT ships orders complete. We can ship orders to customers partial if they desire, but they must request this action and agree to the partial shipping policy. If you wish to have your order shipped partial please make note of it on your order, in stock items will ship ASAP, and any items requiring a lead time will be placed on a second order, this order will be placed with the information from your first order, and you will receive an email notification with all the information for that order. Agreement to partial shipment of orders implies that you accept the fact that you will pay shipping charges each time we send you a box, and it implies that you agree to let the OPT staff place a second order using your information. OPT only ships via UPS and USPS. We also provide USPS shipping for APO/AE mailboxes for our forward deployed troops via $5 Standard Shipping. 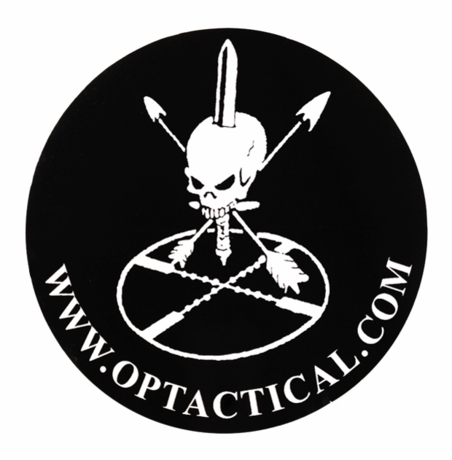 NOTE: Customers that do not receive their UPS Next Day or Two Day shipments within the specified time after the order has shipped must notify O P Tactical of the situation within 12 days of the scheduled delivery date in order to receive a refund. OPT DOES SHIP TO APO/ FPO'S!!! Orders going to US, Allied and Coalition members stationed overseas do take priority. For APO/FPO/DPO addresses - choose USA as the country for the shipping address, city is APO or FPO and state is AP/FP or AE/FE. If you are in a combat zone please make note of it on your order and OPT will do everything within our abilities to get you the gear you need, this includes special ordering from manufacturers. Due to the fact that once packages enter the military postal system they cannot be tracked, we cannot refund money on packages that are lost and the postal system shows as received. OPT does ship internationally, please choose the correct country and USPS International Express (Tracking included) as your shipping method and your order will be sent to you in a timely manner. If you choose the wrong option, this will add time to your order processing time. Attention international customers: Due to USPS shipping rules all packages shipped internationally will be claimed at full value, and invoices will be enclosed for customs inspectors, there will be NO exceptions to this rule. Orders over $500 USD may be subject to additional shipping fees based on items purchased. Additional fees would be assessed if the shipment requires multiple boxes or excess weight. We will inform you of any additional fees and wait for you to confirm before we charge/process your order. Only orders shipping to North Carolina are taxed since we are also located in the same state. For Government/Unit orders - if your shipping address is in North Carolina, please contact us and we will make sure your order is not taxed. Items may be returned within 30 days of being delivered. Clearance, Owner Sales and Garage Sales Items are NOT return-able, sales are final on these items. If you were deployed and are outside the 30-day window, contact us and we may still be able to handle a return. All items returned must be unused, and still in their original wrapping. ITEMS THAT ARE NOT IN BRAND NEW CONDITION OR CLOTHING THAT HAS BEEN WASHED WILL NOT BE ACCEPTED. Refunds will be granted to customers upon receipt and inspection of the goods by the OPT staff. OPT does not charge a restocking fee on returned items. Shipping charges are non-refundable. Exchanges for sizing and color are acceptable only for the exact same item and cost. Customer will need to pay return shipping charges for any exchanges (usually $5). Please write on the receipt whether you need an exchange or a refund. Backorders older than 90 days will be cancelled if we are unable to reach the customer. All the items OPT sells are under manufacturer's warranty. If the item comes with a manufacturer's warranty card, OPT recommends you fill it out and send it to them. If you would like warranty work done on a product OPT sold you please contact the manufacturer, they will gladly do the work for you. Mailing items to OPT for warranty work just adds time to the process. Items on this site marked with the (R) symbol are specifically export and Paypal sales restricted, they will not be shipped outside the United States or sold using Paypal, no matter who you are, or where you are, this is the law under ITAR (US laws defining export restrictions for military related items) and violates the Paypal AUP. Items with this marking that are ordered by customers in restricted areas or using Paypal will be immediately deleted from the order. OPT reserves the right to restrict any product from any sale without reason, whether it is marked or not. YOU MUST EMAIL US A COPY OF YOUR CURRENT VALID DRIVER'S LICENSE OR MILITARY ID BEFORE WE WILL SHIP ANY ARMOR ORDER. NAME ON THE ID CARD MUST MATCH THE NAME ON THE ORDER. Magazines can only ship to USA addresses (CONUS). No sales in the USA to the following States: CA, MA, NY, NJ, MD, CO, CT, D.C., HI or specific cities in IL. We cannot ship to the following cities in Illinois: Aurora, Chicago, Franklin Park, Oak Park, Riverdale. OPT originals: These are images taken by our photographer and belong to OPT. OPT modified manufacturers originals: These are images OPT has borrowed with permission of manufacturers and modified for product descriptions and for sales of products. Manufacturer's originals used with the permission of the manufacturer. Reproduction, distribution or any other type of use in a form commercial or non-commercial may not be done without express written permission of OPT. This includes all images on this site. VELCRO is a registered trademark of Velcro Industries B.V.